If you want some preseason cricket coaching in Glasgow, there are still some one to one and small group 1 or 2 hour sessions available later in the week. If you need a brush up with a coach fresh from a course with inspiring drills, drop me a line. Cricket Power Hitting: Where Does a Coach Start? Julien Wood - power hitting coach - was passionately telling the coaches stood around him that cricket is changing. I was in the crowd at the Cricket Scotland Coaches Forum for a session with the six smashing expert. Before we touched a bat in the practical session, we learned why this stuff is important. Because everyone loves being able to clear the ropes. Because kids love to try and wack it. Because T20 is the biggest format. We all accepted this quickly. If hitting is not batting (and it isn't), how and when do you introduce it to players? Hitting defies the "basics" in many ways. It's premeditated. You don't lead with head, you don't keep a straight bat or a high elbow. You get the hands up high and away from the body in the backswing. Your hip comes through first. Sometimes you use your wrists for power. Sometimes you are not even balanced (although you can be). These things are hitting and so in direct conflict with batting. So when little 10 year old Jessica turns up to try cricket, when is the time to develop batting, and when is the time to go with power? The trick is not to think of power hitting as different, but additional. You learn to power hit just like you would learn to drive, cut, pull and sweep. It's not an exact comparison because "power hitting" is not a single shot, but a set of adaptable skills. Nevertheless, you give it a go at practice, you see how it goes. You hone and enhance it based on your own way of moving. For Jessica, that means saying "hit it as hard as you can!" And letting the fun do the rest. For those a bit older, it means practice on the technical and the decision-making elements: How and when you go for the ropes. But you can hit the ball straight along the ground too. Some will gravitate naturally to big hitting. You can spot them a mile off as they swing themselves off their feet when they miss! Encourage better direction of the energy. Hone and enhance the natural. Some will prefer to play the percentage game: Straight, along the ground, balanced. They will play that way first, but encourage them to learn the other way. It gives them an option. Grow their skills. After all, everyone - even the biggest blocker - will have their moment where they want to hit rather than bat (six to win off the last ball), so give it a go. It's not a conflict, it's an enhancement to cricket. ...my eagerness to get the run was in part based on a sense of entitlement, as if the fact that I deserved at least one for this shot, which would have gone for four if it hadn’t hit the fielder’s leg, was more relevant to right action than where the ball actually went. Mike Brearley writing about being run out after playing a good shot. This sums up a huge challenge of coaching batsmen: You can’t see a player’s sense of entitlement. If you are not aware of the possibility of invisible forces on batsmen, you might do extra running practice with the team. Sprint work for more speed, better judgement of runs and so on. While all this is helpful, it’s not the root of the issue. Working on invisible skills - thoughts and feelings - is not easy to do in nets. Players mostly do not even realise its happening and seek out technical, tactical or even blame-based answers. That’s why a good coach can also tease out more from a player than surface level excuses and justifications. And that takes huge skill and expertise far beyond technical awareness. Performance is a behaviour not an outcome. That’s a line I have heard a few times, but until recently it didn’t fully click with me. It sounds like a sound bite with no real substance. Yet, looking back over some of my frustrations as a coach in the last three years, I have realised that it’s almost always behaviours at the root. Players who are not bought into training. Disengaged players who don’t want to do the activities I plan out. Team mates who ignore poor behaviours and complain about it behind each other’s backs. Cricketers who show no sign of learning new skills despite trying it many times over. And as that’s the case, I decided to get my “behaviour development” game on point with the players I coach. If the theory is correct, the outcomes should follow the behaviours. And I think it is, so I’m going to put more focus on it. Last year, in conjunction with the senior players at West, we developed a Code of Conduct. 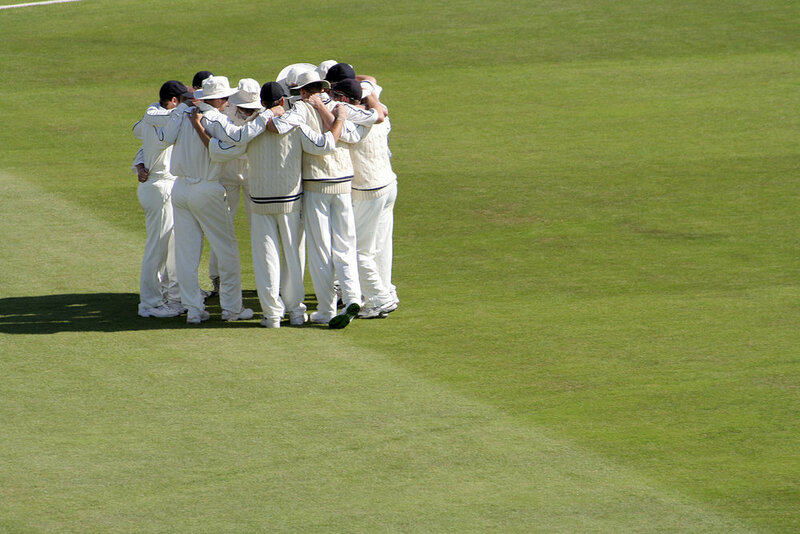 It was a written set of standards that we all agreed were important in defining what we stand for as a cricket club. How we do things round here. It crystallised what we expected of each other and what was most important. If we act like the code, we are at our best. If we don’t, we hold each other accountable. The challenge is to keep this a real, living reference and not just an inspirational poster on the wall that means nothing. I think we can do better on that by first, reviewing it to make sure it still applies, and second, reinforcing it as much as possible. For this I plan to pinch a trick from Mark Bennett: Asking players before practice and games and to define today’s acceptable, exceptional and unacceptable behaviour. Then relentlessly use the “rule of three” to ensure those standards are met every time we are together. If they are consistently not met, we need to get together to adjust the standards. This is the part where I have fallen down in the past. I have gone through anger and frustration through to acceptance that I can’t control player behaviours. Of course, this is still true, but where I can do better is to help the players realise they have a choice. They can define their own behaviours. All I need to do is remind them of their own standards when they forget to apply them. My big question is how will this apply across the different players I coach. I have one to ones, small groups, club nets, school kids in a range of ages in PE lessons and pathway squads. Can the same model apply across the board? I’ll find out as I try. This is especially a question around players who don’t buy in despite my efforts. In many cases (school, club) I don’t have the luxury of removing players from the system if they refuse to fit. I can’t drop a schoolgirl from a PE lesson because she doesn’t like the culture. I can’t stop a player turning up to club nets because he is half-hearted in his training. Yes, I can try and engage them with a relentless application of agreed standards. That will work for some. For others, they will both continue to attend and continue to be disengaged. I’ll be interested to see how many and how I deal with it. Identify and agree overall standards. Agree acceptable, unacceptable and exceptional behaviour at every opportunity. Use the Rule of Three to relentlessly apply these standards. We often lump all behaviours into the one aim of reducing unhelpful behaviour in kids. This is one part, but behaviours are more. They are how we act at all times, and so also what we do when we are at our very best. These days a coach can’t enforce those behaviours on those we coach, but we can show our players how much we refuse to let them be at anything but their best by helping them hold themselves up to the highest standards as defined by themselves. That’s why I’m doing this. The proof will soon make itself obvious! 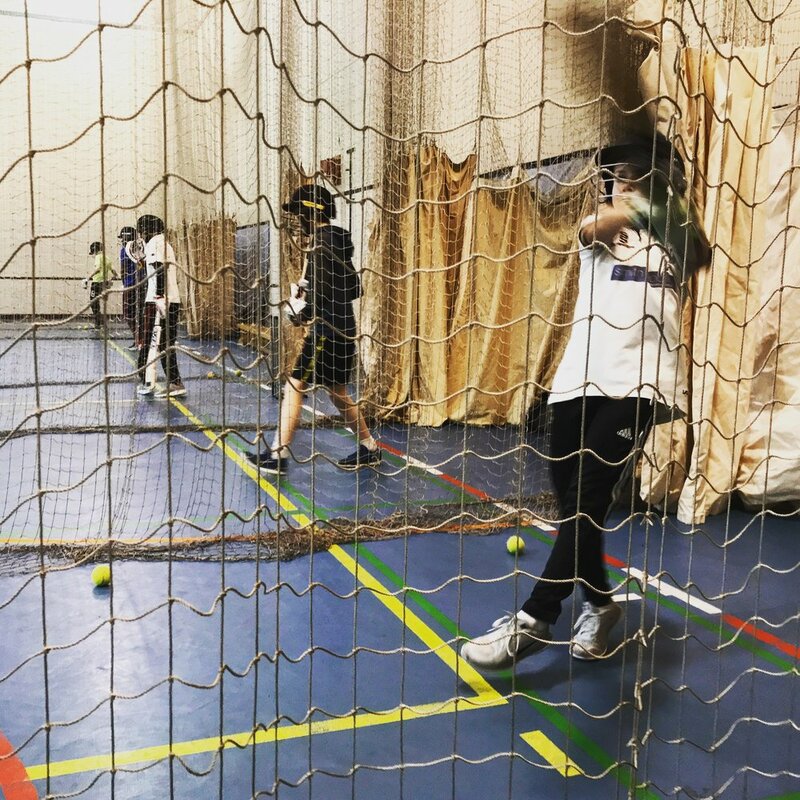 The Preseason Cricket Performance Camp is running during the Easter break, taking full advantage of the indoor training facilities at West of Scotland Cricket Club, Glasgow. The camp, designed for hard ball cricketers to boost their form before the season begins, runs all week from 9th-13th April. Due to space, places are limited. The camp is suitable for all ages of cricketer from 14 to senior player; anyone who has the aim of improving skills with bat and ball before the season begins. Sessions are coaching intensive with lots of drills and skill work to take your game to the next level against challenging opposition. The latest coaching tools are used such as PitchVision video analysis, Sidearm ball throwers, bowling machine and fielding equipment. The indoor nets at West are the venue, and if weather allows, training will also be outside. Sessions run daily 10am-12pm and 1pm-3pm. The cost is £20 per session or £75 for a block of five sessions (lunch not included). Places are limited so book early to avoid disappointment. To book or if you have further queries, contact me here. Planning is about realism, but also needs a pinch of idealism. This is the conclusion I have come to during my recent planning of summer training for West of Scotland Cricket Club. The recent snow and cancelled sessions have got me in planning mode, as I have done for the last three summers at West. I used to plan based on the ideal: It won’t rain much, most people will attend most sessions, match availability will be abundant, everyone will want to do exactly what I plan when I plan it. Players are happy to try new ways of training. There will be as much energy at the end of the summer as there is in April. This wasn’t realistic. Give as many players as possible as many chances as possible to play under match conditions. However, availability for training and matches will be wildly varied. Players prefer to play games than come to training, and most will choose matches over training. Training is well attended for the first few weeks, tails away as midweek matches start (West are in five midweek competitions and a Sunday cup), has a short recovery in July before tailing away to virtually nothing by the end of August. Home midweek games and rain need different sessions to “normal” sessions. Every playing member will get the chance to train, but those more open to being pushed at training will get more attention. Coachable players get coached! Many players love the default (nets and fixed fielding drills with high volume) and rarely engage with anything else. This is especially true when deciding what to do as a group. With these constraints, I have build a plan that is flexible. It looks complicated because it has so many options, but in reality, I will just pick the most suitable one and run with it. It’s realistic and idealistic. Building team spirit and improvement mindset into sessions as well as games. Bringing training closer to matches. Offering constraints-led drills and skill work, especially in the field. Of course, these are ideals and not every box will be ticked at every session. That said, the more I can convince players do these things, the better it will be for the club. For example, I know a lot of players tend to dislike middle practice. However, also know well-run centre wicket work is one of the best ways to develop form and decision making skills. That means I’ll try to do it as much as possible but need to understand the conditions need to be right. We need a practice wicket and the right number of players at the right standard. We need buy in from those participating, and an understanding it will be a lower volume session (which is OK). We need good weather and no home game that night. If these elements align, the session may still fail (unforeseen lack of attendance, snap shower, players not fully bought in). Or it may work like a charm and we all get something from it. The point is, it’s my job to try, review and try again. As a result, my plan is flexible but looking to stretch those who want to be stretched. It fights against the default “just hitting balls” mindset, but is also aware sometimes that’s the best you can do. My ideal is West are better than the default, my realism means I’m ready for when we are not. I’ll always strive to push West onward though, and this plan is the foundation of that realistic ideal. If you want more details about the planning process for club cricket, drop me a line for a chat. Pace coach Steffan Jones recently said net bowling “is of no benefit to the pace bowler”. While I broadly agree, I also think it’s a problem that is not easy to solve. Mainly because bowlers want to bowl in nets. Most bowlers love to bowl. They have relatively few chances, so when they get a session they tend to bowl as long as possible. As a coach you can monitor this, but only in your sessions. What if the bowler you coach works with others? What if they go to nets with their mates and just bowl for hours because they are having fun? This happens all the time. It’s the slightly older version of running a session with six year olds with clever designed warm up, session goals and cool down only to see them run back onto the outfield for two more hours after you finish. Steff’s solution is great: heavy and light bowling days, combined with properly organised nets where bowlers bowl in spells that reflect game time. I encourage all coaches to build sessions like this. I’d love to see it. I also know that it is never going to happen outside my sessions. Certainly not at club or school level. I think the best we can do as coaches is to build environments where players can work with these solutions, try them out and see how they work. We can structure sessions effectively to show players a useful path. I think we can build a culture in the teams we coach of care for the fast bowler. We can help the team understand their own bowlers needs, and work to make sure they are met as well as possible. But we must also remember that bowlers gonna bowl when the coaching shackles are off: Especially if they are kids, or adults with no intention of playing professionally. Bowling is fun, a way of letting off steam and a way to challenge themselves. They ask themselves, why would they bowl less or in such a restrictive way? I’m not knocking Steff, he’s doing great work in a specific environment where he has more control and can do more like this. But I do wonder even in the most controlled situations, do all players stick totally to the plan? Players certainly don’t stick to any plan I try for long. My conclusion after years of trying is to unclench. By all means, try it, but don’t panic if it turns out to be rejected by the players. It may work brilliantly, it may not. Only the players can decide what works for them because they are the only consistent presence in their game development. I know some coaches will argue we know best so players should listen. I used to argue that too. Personally, I can’t hold that worldview any longer. Not with any integrity. For me it came for a place of ego and a need to control things I can’t control. For me it came from an impossible idea; that one coach can have total influence over a group of players. For me, I have realised that is impossible. For me it also came from a deep fear: If the coach can’t instruct any more, what is the job of the coach at all? Are we all just snake-oil salesmen? Knowledge is still power, but I think it’s less useful for coaches than it was before because knowledge is so easy to obtain these days. Real coaching helps players get the best from themselves not through pouring knowledge into cricket player jugs. It comes from building great relationships, mindsets, cultures and environments where players feel comfortable to build, fail and build again. That’s way more complex and difficult to grab than telling players what to do based on the latest research. But from my viewpoint, it’s the only thing that gives you a chance to be a great coach. And this was supposed to be an article about session design for bowlers. Sometimes you need to look deeper. One thing I have railed against for years is the idea of “standard nets”: The unthinking practice where you have a few bowlers, one batter and 10 minutes each. In more recent times, I have started to realise the inevitable nature of this kind of net session, especially with teenage and adult players. While I have plenty of alternative strategies, I also think it’s not as unhelpful as I have suggested in the past. Plus, I’ve come to accept there’s not much I can do about it. When I’m working with engaged, self-sufficient and coachable players in a group net, I notice a certain mentality. Players with this mindset do not need a coach nudge. They go in to bat with a specific aim in mind. They don’t need the bowlers to do anything, they work with what they have. For example, last year the pro at West would net for 10 minutes against whoever was bowling (sometimes pretty average players). He would work on his footwork to spinners and how big a stride he was taking to seamers. He never got fed up and hit out. He played with patience and focus. He walked out thanking every bowler for their efforts. He made the most of the situation. Compare that to the average group of club players. When left to net, they bowl until it’s their turn to bat. They bat for a bit with no real goal then have a swing at the end. They walk out with a general feeling of it going well or badly. This latter group is in the vast majority, even with experienced, talented and skilful players. In the worst cases, when the situation is challenging - like a tired net wicket that is hard to bat on - some players give up altogether and either swing until time is up or come out early. When I first started coaching full time in nets I tried very hard to come up with ways to prevent this unfocused thinking: Games, drills, removing nets, putting up incentives, whiteboard themes, one to one conversations and more. Every intervention was met with some success but always the same end result eventually: A return to standard nets. I felt a lot of frustration about this, and tried even harder to help players find a focus. Some of these methods worked well but there was no universal solution. And I think over 10 years of trying with different teams has proven how hard default nets stick. Really it was my ego getting bruised when I saw “failure”. Allow players to focus on action-perception training with bat and ball (e.g. picking line and length). Develop mindset and mental skills around batting and bowling. Socialise and have fun with teammates (crucial in club cricket, not a thing to be avoided). Get a lot of players with efficient time on task. It’s easy, comfortable, it broadly works. For these reason the shadow of the default net looms large. Recently I realised I had not been thinking about nets in the right way. I can never make default nets vanish and replace them with something else because it’s too easy, too ingrained, too trusted by players who have had a lot of success in cricket. I saw it from their viewpoint; fixing something that is not broken. Perhaps even risking their form for some foolish new fangled way to train. No wonder they don’t want to change. No wonder I see net games break down the moment I stop scoring the game. No wonder most players can’t even focus enough to even tell me what they are working on when I ask. No wonder people have literally walked out of my middle practice sessions because they don’t get the safe feeling net. In their mind, especially a group mind, nets feel good and work fine. With this thought, I realised it’s not personal. It’s not about my coaching skills. It’s not my job to get frustrated when players don’t fit my methods and principles. That’s my ego talking. My job is to find ways that work for the players, even when that’s not always what I want to coach. Of course, there are also many ways nets can be unhelpful to development. It’s too easy to switch off. It’s not as realistic as middle practice or as focused as game based drills. You can’t work on technique. However, they can be useful. More importantly, most players think they are useful in that group setting. And what’s the saying about bringing a horse to water? Where does this reality leave the coach’s role at group nets? First and foremost, I think we have to develop a real understanding of the players we coach. What motivates them? What inspires them? How do they think? How do they act in a group and as a group? What do they think works to develop their game (if they even have enough desire to do so)? What do they need to do to improve? The more we know, the more we can match net sessions to the players. Sometimes those sessions will look a lot like traditional netting. Even when we know in our heart of hearts there are more useful and developmental ways of training. If we know a group are the type to resist, its time to rethink the plan. If we think we can push harder and get a response, then try. I like to think one day I will coach a group who feel the same as me about default netting. But I can’t control that because it’s always the player’s choice to make as an individual and as a group. Conscious or unconscious, social loafing or individual motivation. Respect for the coach or not. As coaches, we can inspire, set up options, motivate, grow culture, encourage mindful action, explain why thing work, understand character and build environments. But we can never make that final choice to engage. To be coachable. So we need to accept nets will eventually default to the simplest option. Take the chance when it comes to offer more helpful things but remember it’s the player’s choice, not ours. That helps us accept when our methods are rejected. That helps us realise there is only so much we can do. Sometimes a traditional net is helpful because everyone is engaged and motivated towards a target. Sometimes it’s unhelpful for development but helpful for having a laugh with mates. Sometimes it’s unhelpful busywork. That’s really up to the players, not us. Not matter how hard we try and take the lead. In my mind now I have relaxed my sense of wanting to be in control. Of course there are things we can and should do: Understand the players, make an offer. View the outcomes and adjust. See where the players take us when we try. We might not end up where we wanted, but we will have fun seeing how far we can go with people who trust us because they know how much we care. In the end, cricket coaching is far more about helping and guiding people than getting nets right. 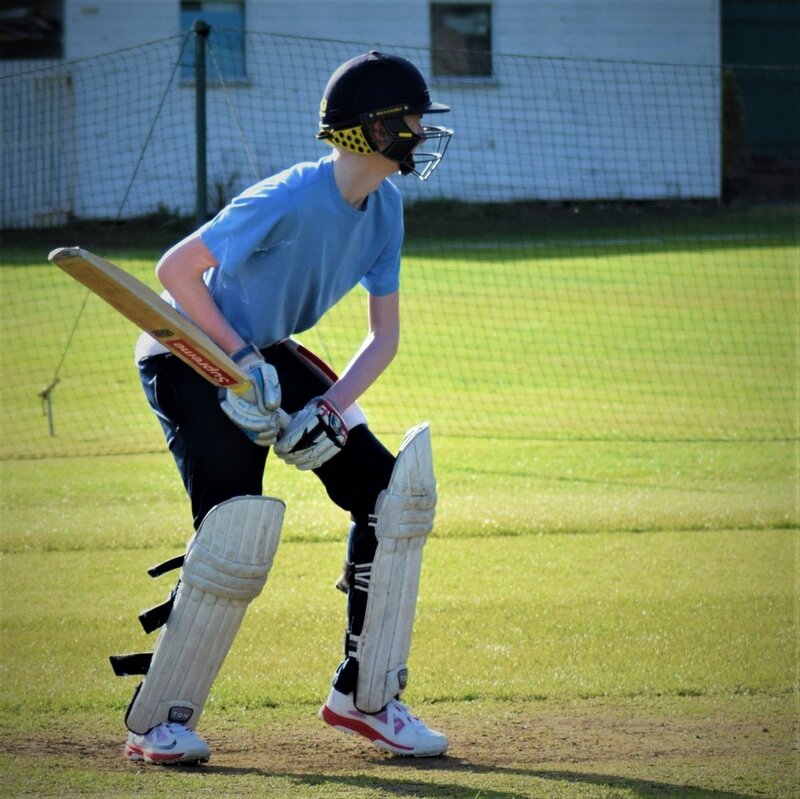 Glasgow U12-U18 cricketers who are off school this week, I have coaching slots available on Wednesday 14th and Thursday 15th February during the day. Drop me a line for a coaching session. Here's a net game that ramps up the tactical, decision making and feeling of playing cricket. Also, it's named after a 90s computer game. Win-win! The game requires a little bit of planning, but can work with four-six players in each net lane. First, pick teams. You don't need even numbers (and people can even arrive late and still join in). Then decide on the duration of each innings and who is batting first. 1pt - Hit bowler defined zone with attacking shot (attempt rewarded more than outcome). 4pt - Hit different bowler defined zone with attacking shot (attempt rewarded more than outcome). -1pt - Play and miss on off side. -5pt - Out bowled, stumped, caught behind, skyed or caught and bowled. Then play out the match! As you can see, we kept score on the whiteboard. The response was brilliant. Everyone was highly engaged with the session. The bowlers and batsmen were arguing over the finer points of the rules, the result really mattered! It also got players to think tactically with their batting and bowling, and forced batsmen to play shots they didn't think they could play in order to try and win. It was creative, messy, fun and developmental. I was delighted! Give it a go and see how the players you coach get on with it. Be prepared for some great challenging discussions to be had. Why don’t we see more coaches in business? A coach in sport helps players find ways to improve. In cricket that leads to runs and wickets. In business, that leads to profit. Although the goal is different, the methods are the same. Coaches are in the people business. We are effective when we understand how people and teams tick, what motivates them and how to draw out the best in them. Managers in business, like captains in sport, are so constrained by the pressures of time they don’t get the chance to coach. Even though everyone from the MD to the team leader is effective and efficient with well drilled processes and policies, they know how much greater a well-coached team can be. Like good cricket teams, coached and coachable businesses are not just skilled and efficient. They know attitude and mindset, although invisible, are crucial elements in success. They focus on personal growth, pride in a job well done, and constant effort even under heavy workloads. They are aware of their thoughts and behaviours and work towards helpful actions. They understand when they are having unhelpful thoughts and quickly act to stop them from becoming unhelpful actions and behaviours. They have a powerful team culture built on a spirit of togetherness that extends far beyond shared goals. It helps them feel part of something important and motivates on a deep level. A coached and coachable business roots out mistrust and toxic behaviour itself - even if it is within the “rules” - because this team has their way of working: A culture that is clear and honest. So why don’t we see more coaches? I think it’s an image problem. Most people in business see a sports coach as a PE teacher from the 70s. The coach blows a whistle, makes people do laps and punishment and forces endless, repetitive drills on the cold winter pitch or sports hall. I have coached for over 20 years. I don’t own a whistle. The only time the players I coach do laps is if they choose to do them to get fit. I don’t even really like drills as a way of coaching. At least, not the brainless repetition of most of them. Coaches are not instructors any more. The old-school coach image is wrong. What you think, feel and do when you are at your best. What you want to change. How you are going to change. First, George. George is new to a business but has been around long enough to understand the company policies. He works hard and tows the line. He is not a star performer but he never does anything wrong. He wants to learn some new skills but is having trouble finding the time because real work and business pressures come first. George gets the chance to work with the company coach once a week for half an hour. In that time the coach and George chat about his aims and goals. He clarifies his ambitions and plans how he might get there. To his surprise, the coach also shadows George at work for a few days too. In the next meeting, the coach starts asking George about why he did things at certain times. George feels his brain hurting a little as he digs deeper into how he feels, what his underlying assumptions are about things, and where points of frustration creep in. He kept an open mind. He wanted to improve. Over a few sessions and a few shadow days, George starts to get a clearer picture of how he works and why he works that way. He is able to organise his time better as a result and finds time to upskill without significant impact on the business. His new found skills pay off with better, more consistent performance. George’s example shows, with an open mind, coaching helps you give yourself the chance to be the best you can be, whatever your job. The second example is Sara. Sara also works hard and toes the line. She has been around a bit longer than George and understands the company a little better. She is also seen a problem by her manager. She never “breaks the rules” but she often bends them as far as possible. She doesn’t fit the culture of the company. She arrives just before start time and leaves exactly on time every day. She takes every excuse to get away from work for a moment. She sometimes lets a good chat get in the way of real work. Because Sara never breaks any rules, she sees nothing wrong with what she is doing. She doesn’t agree with her manager and doesn’t want to change anything. Sara notices when the coach is around but, at first, does not see any one to one time. The coach is often around the team; chatting, joining in team meetings, taking notes and having sessions with others on the team. Eventually the coach gets to Sara for a meeting. There are a lot of questions about how and why Sara does things. She can’t always answer them. She feels defensive. Yet, over time, the coach helps her recognise her feelings and match them to what she wants. Together they find areas they can work on, points of conflict with the manager and rest of the team, and a deeper understanding of how to make positive changes without comprising the core of who Sara feels she is. Sometimes the meetings are one to one, sometimes they have a team mate or two. Occasionally the manager joins in. The discussion and action plan is always guided by the coach. Even when feelings run high. Sara starts to understand her role in the team, the culture of the company and her influence on others through her actions. She finds ways to fit in and become valuable while meeting her own needs. These are the types of issues sports coaches deal with every day. George and Sara are made up names, but their stories are the stories of players I have coached in a sporting context. I wasn’t in a suit in a company, I was in a tracksuit in a cricket net. Yet, people are still people whatever the context. We tend to get drawn into the practical and immediate in both sport and business. The next sale, the next match. Sometimes you need someone to get deeper, delve into the invisible soft side and help inspire people the be the best they can be. It leads to a better bottom line, just like it leads to more wins on the field. Good coaching taps into this on a team and individual level. To try coaching in your business, set up a meeting with me to find out how I can help. Players in Glasgow who are U12 and U14 age group have a chance to get some extra coaching. The West Regional Development Centre is hosting two, open to all, hardball cricket skill development sessions during the 2018 February school holidays. I will be coaching at the sessions. Places at both sessions are limited, so please get in contact early to avoid disappointment. I’m always searching for ways to improve club cricket net practice. The challenge is engaging players at the right level. This game is one I came up with after realising an area we rarely practice. The net game was simple: Score as may “fives” as possible. Of course, it’s impossible to do this perfectly, but we made some simple rules to encourage the batsman to rotate the strike after hitting a boundary: My most adored five. In the net, batsmen bat in pairs, bowlers bowl in turn. Cones are set out to mark gaps in the field and batsmen rotate when they hit the gap. Pretty normal so far. If the batsman hits a four (by their own judgement), the same bowler must bowl another ball. If the batsman rotates - as above - they get to record a successful five. The pair with most fives at the end wins. Simple, but effective at working on a specific goal without taking players too far out of their expectations of a net. This was good for the University guys I coach because they are not super focused on performance, but still care enough to want to come to nets. This drill finds a nice balance between focus and “having a go”. Try it, adapt it. Let me know what you think! Here's a drill I came up with on the fly. Originally I came across this idea for helping bowlers who bowl off the wrong foot to get a feel for timing their landing. One day, a spinner asked me if I had an ideas for helping him brace and pull better against the front side of the body. It was a timing issue the same as bowling off the wrong foot. We tried this drill and it instantly got more spin and a feeling of power through the action. Great teamwork! I share it for others to try. All coaches have limited time with people. Naturally we want the best ways to help them improve. The instinct is to start telling players what to do. So, every new coach is taught not to bombard players with information. Even the most coachable take in one or two points at most. I think in reality that is a hopelessly optimistic view. My guess is that it is more like one point in a hundred that gets through. I think a two-way method is a lot more effective. There is less telling and more trying. This makes coaching a process of self-discovery by the cricketer, guided by the coach during a session. When the player is building their own solutions they are more likely to be able to access them in the heat of a cricket match. Of course, all this requires a certain frame of mind from the players and coach. "Coachable" does not mean listening to your every instruction. It means they are aware of your knowledge, open to discussion, ready to try some things out and are mindful of the results. Every coach wants a player like this to coach. Recently, another coach I trust mentioned coachability varies; both between and within players. You always get the stubborn players who have their way. You also get the players who just want to be told what to do. My favourite variation of this type is the person who want to be told, doesn’t listen to the answer they asked for and blames the coach for not helping (yes, this has happened to me). None of these responses are coachable. You also get players who get the idea quickly, buy into the method and put the work in with focus and mindfulness. These are the golden coachable players. However, people are fickle. Depending on things like mood and time we can be more or less coachable. It can even be as simple as being a morning person or an evening person. Your brain is ready when it’s ready. This has been a revelation to my coaching. When I struggled to help more difficult types, I switched my thinking from “this player can’t be coached” to “this player is not coachable right now”. Instead of giving up, I spend time trying to work out what will help get people into that coachable mindset. I have spent almost entire one-to-one hours talking to some players who prefer to do their thinking through chat. I’ve also done nothing with players other than throw a lot of Sidearm at them while they work things out by doing. Mostly it's trying to find a balance. I’ve made the most of times when people are “on” and I’ve even abandoned the odd session when individuals are “off”. Of course in a group setting you have to get through it, but I often find myself dropping back to something that’s silly and fun instead of worrying too much about coaching people in an disengaged frame of mind. Find that place where people are most coachable. Occasionally, you’ll click into sync with a player or a group. The lights go on. The session flows seamlessly with fun, engagement and learning at full blast. They happen rarely because everyone needs to be in the right frame of mind. That said, I’m convinced you can have an influence as a coach with your language and behaviour. I go in with energy, enthusiasm and determination. I get the feel for the room and adapt my language and behaviour to try and guide everyone to the light switch. I hope my chimp brain doesn’t sabotage me too much by putting me in a bad mood. We have all been there. Sometimes everyone comes with you. The curtain goes up and the lights come on. Mostly it’s fine without being great. You just have to get through those days. You can't win every session. Sometimes, despite your valiant efforts nobody learns anything. Don't beat yourself up. People are amazing, frustrating, wonderful and different to you. Keep searching to get everyone in the coachable mindset. Keep working to keep yourself in that adaptable frame of mind so anyone who is coachable can get coaching. For me, I coach better when I let my ego fall away and focus on doing my best every time despite what I get back. I know sometimes I will fail. I’m a human. I know sometimes those I coach won't pick up what I put down. They are human. But when my lights are on, and everyone I’m coaching is the same, we make some magic cricket. With the season looming, time is running out to build up your form. Take advantage of half-term with a three day preseason camp that's guaranteed to boost your skills. 12-16 year old cricketers, ambitious to play well for Western Warriors or other rep sides. 17 and older senior players with a focus on improved cricket performance in the 2018 season. Improving bowling pace or turn. Building long innings and bowling well for a full season. The sessions are personalised, so will have four cricketers per day for the three days (to allow maximum practice time and the fastest improvements). PitchVision technology will be used to track both technical and performance outcomes and deliver a report at the end of the camp that players can take into their club and rep sessions. The two lane school also has a bowling machine and access to a space for outdoor practice. The camp is £40 per day, or £100 for three days. PitchVision videos and data are all included. Places are booked on first-come-first-serve basis. We live in an Information Age. Data can be gathered on iPads. Everyone has an HD video camera in their pocket. You can spend a lot of money on gadgets that claim to use data to give you the edge. None of it is cricket coaching. However, it does have the power to inform the coach, who can deliver better coaching as a result. Computers are amazing at gathering huge amounts of information and sorting it into piles and patterns. Human beings are amazing at interpreting and translating this huge mass of ones and zeros into something tangible. Why would we not do it? Analysing data certainly informs coaching. The perfect wicket-taking length (and how often bad balls get wickets) . The impact of fielding on games and what fielding skills are most used in games. The underestimated importance of overs 30-40. Using video to review performance under different conditions. Like coaching, there is an art as well as a science to analysing data, but if you can find useful data you can use coaching to find an edge. That's a really powerful tool available to a coach. Perhaps even more powerful than basic advice that any player can find on YouTube these days? You Are Not Alone Coach! I have published four 16 minute shows, each on a different cricket coaching topic. Each one gives some practical advice on the subject of the show. It's designed to be quick while also giving some practical advice you can take to your next coaching session. I shall be striving to create an environment in which they can find out what they are good at, hopefully discover their own solutions to the cricketing puzzles they will be presented with, where they can find themselves part of an emerging (social) community, and, most importantly, play the game. To me, these thoughts of Andrew Beaven made me think about the way kids learned to play cricket back in the old days: Free play in the park, street or playground. Jumpers for goalposts, as the saying goes. The world has changed a great deal since those days. We can no longer rely on players who arrive at sessions with a cricket instinct, passion and purpose honed from watching and playing the game informally with their mates. We need to coach it. It sounds counter-intuitive to those of us who grew up this way, but now it’s the job of the coach to build this lifelong passion and excitement. That means less formal stiffness and doing things “properly” and more informal, chaotic, laugh-out-loud fun. When at the top of their game, a coach empowers people to do their own learning. And the only way - in my mind - to do that is to let go of structure and play the game as the raw problem-solving fun mess it was when we did it in the back yard with a tennis ball, a dustbin for stumps and special rules for when you hit the ball into the old ladies’ garden. We can’t get back to those times, but we can tap into the core of what made them so great. It’s my purpose to guide players towards their purpose at every session, whatever level of player I coach. While I can never be sure it will accelerate performance compared to other techniques, I can be sure it keeps them coming back for more. If you are a cricket coach, or you want some high-class coaching for your own game, get yourself onto my new mailing list. It's got exclusive content I will never post anywhere else! When you get on the list, I'll directly send you regular exclusive cricket coaching emails. It’s as simple, easy and commitment-free as that. I can’t promise you the secret to runs and wickets or the one tip to defeat your crippling technical issues. What I can do is give you plain, honest advice from over 20 years experience coaching cricket. I can also promise not to bother you so often you get fed up with me. You might also get a warm, happy feeling inside knowing you are not alone in your struggle. I hope you like it and I hope you subscribe. I’ll do everything I can to get useful stuff to you in a simple way. And if you don’t like it? It’s one click to never hear from me again. I’m a coach, not an animal. Just things I have found to work. And the occasional bad joke (sorry, not sorry) . Enter your email to see if you like it.